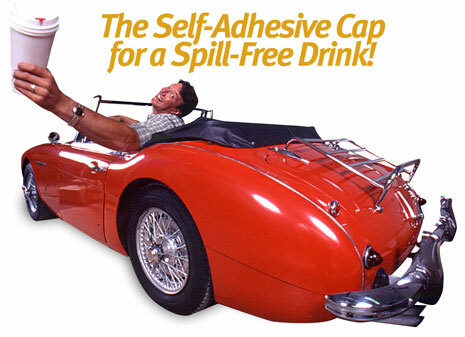 Familiar with the "SPILL ON THE GO" ...You know... coffee on the console, in your lap, etc... Yeah! Cruzin Caps by FastCap eliminate the S.O.G. It's a simple, cost effective, and fun way to cover the sip hole on drink lids...just peel and stick, and it resticks as you drink.